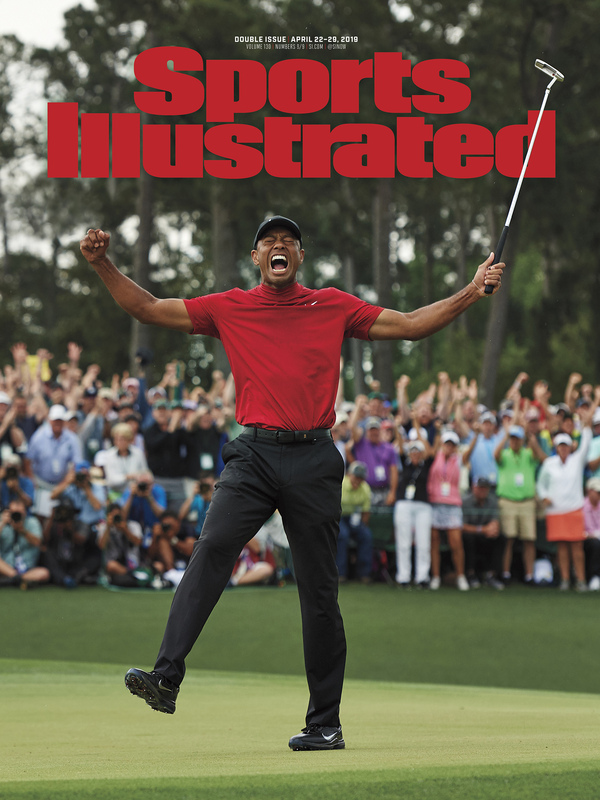 This week's Sports Illustrated cover, featuring Tiger Woods's Masters victory, is one of a few SI covers without any additional text. Tiger Woods's victory at the Masters was both historic and unexpected. Woods earned his 15th major victory—11 years after the previous one—with a final round comeback to the take his fifth green jacket and move just three major wins from tying Jack Nicklaus' all-time mark. Woods is featured on the cover of this week's Sports Illustrated. But unlike most SI covers, there is no text on the cover calling out Tiger Woods or his Masters victory. There have only been a few covers in Sports lllustrated history without any words on the front describing the person or event. One such occurrence was the March 3, 1980, issue after the United States Olympic hockey team completed their upset victory over the Soviet Union in the "Miracle on Ice" at the 1980 Winter Olympics in Lake Placid, N.Y. There was also no text on the cover of the August 21, 1995 issue, when New York Yankees legend Mickey Mantle died at the age of 63. Here are Woods's other appearances on the cover of Sports Illustrated.